Today I’m also going to talk about my trip to Portugal. 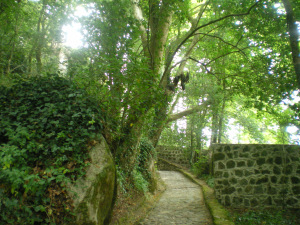 This time I’m going to talk about Sintra. 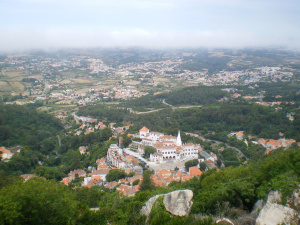 Sintra is known for its many 19th-century Romantic architectural monuments, which has resulted in its classification as a UNESCO World Heritage Site. Honestly from all my trip to Portugal this is my favourite place it’s so magical and bucolic. It’s a long way up from the town to the palaces (like 50 min walking) but the way is extremely beautiful, you have amazing views of the nearby’s and path is surrounded by green nature giving it a magical touch. 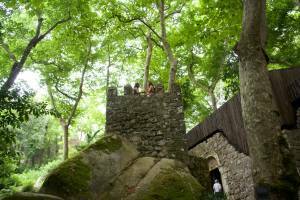 From all the beautiful castles and palaces of Sintra, we only got inside the Pena National Palace, The castle of the Moors and Quinta da Regaleira.